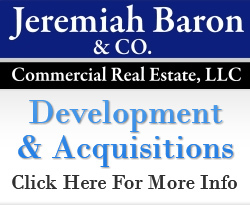 Jeremiah Baron & Co. | Commercial Real Estate Treasure Coast of Florida | Commercial Real Estate, LLC. Keep In Touch Through E-Mail. View Our Featured Properties and New Listings! 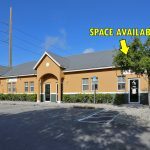 Unique industrial warehouse property located near the Jensen Beach inlet. 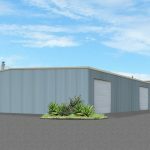 The building is split up as 4,900 sf of warehouse/office, 4,000 sf of mezzanine/storage, plus 9,800 sf manufacturing warehouse with a 1,250 sf mezzanine. Located right along the west side of the Florida East Coast Railroad tracks, in northern terminus of NE Candice Ave. 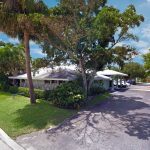 Spacious turn-key medical office building located in close proximity to the Hospital and the Downtown Stuart area. Site features 9 exam rooms, 5 offices, a waiting area, reception area, and restrooms. Building was renovated in 2010 with metal roof and fresh paint. Street to street access on both East Ocean and Osceola Street. Highly visible signage and great location! Excellent 800 sf space available to lease in the Belvedere Shoppes Business Plaza. Currently a turn-key space for a hair salon business with the potential to be converted into an office to accommodate other professional service type business. 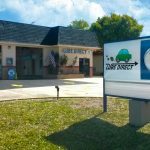 Site features great roadway exposure to Port St Lucie Blvd’s high traffic volume, visible signage, and ample parking spaces. Just a short distance from US Highway 1 as well as the Florida’s Turnpike.